If you suffer from pain or stiffness in the jaw, neck, or ears, you could have TMJ disorder. A TMJ pain treatment approach includes a number of methods, incorporating everything from at-home care to more interventional techniques, like physical therapy, medications, mouth guards, or even surgery. You may hear TMJ referred to in a number of ways. The letters “TMJ” themselves abbreviate “TemporoMandibular Joint” but have often been used to refer to disorders in this region of the jaw. 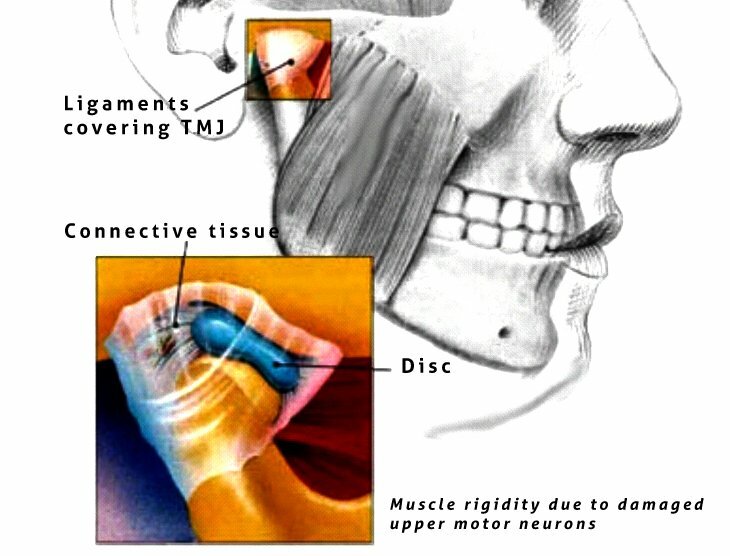 Technically TMJ disorder or TMD is the more correct way to refer to this condition. No matter what it’s called, TMJ/TMD refers to a disorder of the jaw muscles or joint. Your jaw connects to your skull with a ball and socket joint. Within this sits just a small disc of cartilage that cushions the load. This joint allows you talk freely, eat, and open your mouth. But, since it’s used so frequently, it’s vulnerable to constant wear and tear. This stress can lead to damage, swelling, and other abnormalities at the joint juncture. TMJ is more often found in women, especially those between the ages of 18-44. Genetics play a small role in TMJ risk, as does accompanying pain conditions. For example, people with fibromyalgia and sleep apnea experience a greater incidence of TMJ pain. What can I do for TMJ pain? If you suffer from TMJ pain, you’ve likely lived for a long time with clicking while eating or an achy jaw when you wake up in the morning. Your pain may flare up during higher stress times, or it may become worse during winter. Or, for others, it might have come on suddenly. No matter how TMJ affects you, there are ways to manage it. Often symptoms will gradually disappear on their own. TMJ pain treatment ranges from at-home care to surgery for severe cases. For most patients, at-home care with some gentle stretching can significantly help relieve pain and reduce symptoms. If you’re suffering from moderate to severe pain, however, it’s important to talk to a TMJ specialist before attempting any of these treatments. They can diagnose the exact cause of your pain, and suggest personalized treatment options. Since they spend the most time in your mouth, typically a TMJ dentist will diagnose your condition. She’ll perform a physical exam, checking for pain, tenderness, and clicking. Once you’ve confirmed that you’re suffering from TMJ, there are a number of treatments you can use to relieve your symptoms. As the American Dental Association notes, it’s always best to start with simpler TMJ pain treatment approaches and progress from there. Many people will find effective pain relief from modifying a few at-home activities and practicing stress management. For small flare-ups, start by icing your jaw if the injury is more acute and recent (say, from trauma or excessive grinding), or apply a warm, moist compress to release your muscles. You can also take over-the-counter non-steroidal anti-inflammatory medications to relieve pain. With a restful period of warm, moist compresses and relaxed eating, you can help resolve a majority of your TMJ pain. If you’re suffering from TMJ, simple exercises can also help you alleviate your pain. The following video goes over three TMJ pain relief exercises to start with. You can do these in just a few minutes at home. We also discuss more stretches you can do in our recent post on TMJ and ear pain. These stretches help relieve tension, while TMJ exercises can strengthen the muscles of the jaw. Healthline hereshares additional TMJ exercises. Your doctor or physical therapist can also recommend additional stretches to try for TMJ pain relief. If you’re already stretching and exercising the joint, massage is a natural fit. Many find relief from simple day-end TMJ massages, either done solo or by a partner. One of the most important parts of TMJ pain treatment is reducing your stress. We hold a lot of tension in our jaws, with continued stress leading to increased rates of damage. Stress management doesn’t have to be complex either. Simply sitting and focusing on your breath for ten deep and full breaths a few times a day can help relieve tension around the jaw. Similarly, if you’re also suffering from sleep apnea, wearing a mouth guard could make your night-time teeth grinding even worse. Instead, many TMJ dentists are looking at ways to restore your mouth’s proper occlusion, or bite. A well-balanced bite puts less stress on your jaw, and can help you stop grinding your teeth at night. Because of this, some dentists recommend short-term guards or splints, bridges, braces to correct alignment, including Invisalign braces for adults. A physical therapist provides structured support and guidance with more severe cases of TMJ disorders. They’ll coach you through more advanced stretches and exercises to restore movement in the jaw and reduce pain. These should never be a first-line treatment, but they can help in more severe cases. Note that doctors who only prescribe pain medications aren’t working to address the root cause of the issue. These may have to be used in conjunction with other treatments, while undergoing physical therapy for example, but should never be your sole treatment approach. Many are beginning to turn to injections for managing moderate to severe TMJ pain. Botox injections are increasingly used to treat migraine pain, and are being found to relieve the underlying muscle spasms that can cause TMJ pain. While there hasn’t been enough solid evidence yet on Botox for TMJ, more studies are in development. Likewise, some TMJ specialists use corticosteroid injections into the joint itself to reduce inflammation and provide TMJ pain relief. What do they do for TMJ surgery? If you do need to undergo surgery, after all other treatments have failed, there are less-invasive options. The Mayo Clinic explains that in an arthroscopic procedure: “a small thin tube (cannula) is placed into the joint space, an arthroscope is then inserted, and small surgical instruments are used for surgery.” A full open-joint surgery is used in as few cases as possible, but can allow a surgeon better ability to repair or replace a severely damaged joint. What should I do to get TMJ pain relief? Your TMJ pain treatment approach will ultimately depend on the severity of your pain, the length of your symptoms, and the underlying cause of your pain. TMJ pain relief exercises and at-home strategies will often go a long way towards reducing pain. Other treatments like physical therapy, massage, or relaxation techniques are a welcome addition to any routine, and can be especially beneficial for patients. Newer treatment approaches, like Botox for TMJ and TENs unit therapy, promise to help patients relieve pain without invasive surgery. Other options like Invisalign braces or mouth guards can help correct dental abnormalities leading to disorders in the jaw. If you’re suffering from TMJ, your most important first step is talking to a specialist about your TMJ pain treatment options. They’ll be able to discuss them in-depth with you, and talk about strategies you can start now to get pain relief in the future. 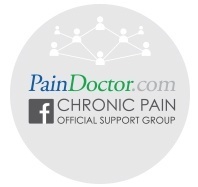 To find a pain specialist in your area, click the button below to get started.